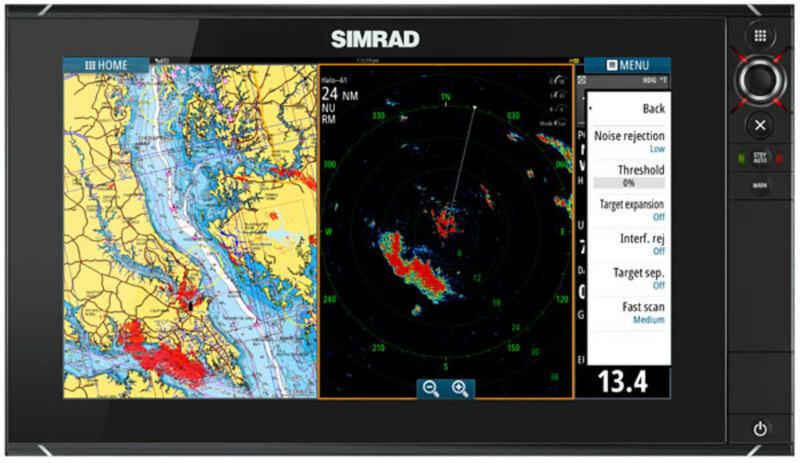 Q: My new television is ultra-high definition, and I now see at boat shows that marine radars also offer UHD options, with dramatically fewer transmit power outputs. Have you seen this new gear in operation? Indeed, the newer breed of marine high-definition radars—many with color displays—can reveal targets that even a slightly older radar might miss. In operation, transmitted bursts of digitized radar pulses may be frequency modulated with weak echoes synchronized by the radar’s digital receiver. This relatively new technology, in turn, lowers peak pulse power levels and drops DC current consumption. Where once you needed a 3.5ft open array, you may now get nearly equal resolution with just a 24in radome that won’t foul any loose rigging. Yes, the new breed of digital pulse radars offers an unbelievable resolution, with less DC power consumption.